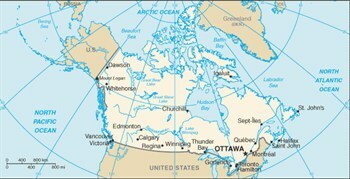 Canada is the second largest country in the world with six time zones, ten provinces and three territories. 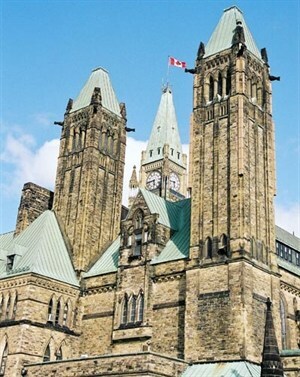 The capital city of Canada is Ottawa which is located in the province of Ontario. Canada has a population of just under 34 million and 90% live within 200km of the United States border. There are two official languages, English and French. Canada ranks 4th in the world in regards to standard of living (measured according to GDP per capita, e.g. life expectancy, education) which contributes to 'quality of life'. Vancouver, Toronto and Calgary are all within the top five most liveable cities according to the Economic Intelligence Unit (2010). Canada is an important trade and investment partner for British companies of all sizes and across the spectrum of business activity. Canada is one of the world's richest and most developed countries, ranking among the top ten industrial powers and is recognised as having one of the highest standards of living in the world. With the low inflation and positive economic growth, particularly given the recent global economic crisis, Canada offers good trade and investment opportunities for British companies in many sectors e.g. energy, food and drink, aerospace, biotechnology, financial services, defence & security and business services. A recent study comparing business costs in Canada, Europe and the USA placed Canada ahead of other G8 countries across a broad range of business operating costs. Canada's market economy has maintained a varied structure with both small companies and multinational companies. Natural resources remain a major factor, but the growth of hi-tech industries often involving small dynamic companies, is of increasing significance. The proximity of the US market to much of Canada's industrial activity (based largely in Ontario and Quebec) is of fundamental importance to Canada with 75% of Canadian exports going to the USA. This therefore offers UK companies NAFTA access to the US and Mexican market from Canada. There are also good opportunities for strategic business partnerships and technology transfers between UK and Canadian companies. The market remains receptive to British products and Canadian business are familiar with UK business practices. As Canada is not only a natural resources rich country, there are many opportunities across most sectors of this developed and sophisticated market. Oil and related products, including environmental technologies. The UK is Canada's second largest partner worldwide in the science and technology sector, with a particularly close relationship in the field of clinical research. Canada sees itself as a world leader in scientific discovery, and it has strong energy, mining, ICT, and bio-sciences sectors. The province of Ontario holds North America's 3rd largest biotechnology cluster and has been named one of the top five regions in North America targeting biotechnology companies in 2009. In Ontario alone, the life science sector employs more than 43,000 people at approximately 850 companies and generates $14 billion in revenues annually. Canada has the second highest number of research publications coming out of the University of Toronto, only outnumbered by Harvard University in the US. Canada also has strengths in various areas of Information technology, engineering, and clean technologies. Particular energy strengths include the oil sands, wind energy, carbon capture and storage, and biomass sectors. Marine energy (primarily tidal or wave turbines) and bio fuel sectors are expected to gain prominence in the commercial sector within five to seven years. The UK and Canada share deep cultural and historical ties, with broadly similar legal and political systems. The UK is Canada's primary European trading partner. Canada is the UK's 16th largest market, with exports reaching £3.25bn in 2008. The UK is also the second largest foreign direct investor in Canada after the US. Canada is the UK's third largest export market outside Europe, the US and China. The value of UK goods exported to Canada totalled approximately £3.6 billion in 2008. Energy products, industrial goods and machinery products dominated UK goods exported to Canada in 2008. Between January-May 2009 the value of UK exports were £1.5 billion. 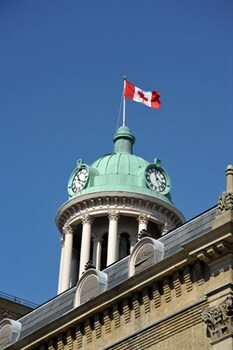 Canada has emerged from the recession with modest growth in September 2009. As the Canadian dollar continues to strengthen ($0.95/USD), the composition of GDP has shifted away from net exports and towards final domestic demand. With slow growth and risk from a strong Canadian dollar, Bank of Canada maintains commitment to hold interest rates at 0.25% (from 4.25% a year ago) through the second quarter of 2010. Unemployment is easing (8.5%); with public sector accounting for over half the new job gains. The Bank of Canada expects growth to pick up as consumer spending and business investment begins to increase. Canada and the EU started a round of Free Trade talks in September 2009 with the expectation of a final deal at the end of 2011. 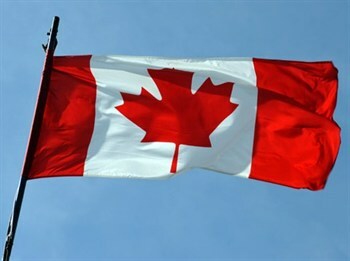 Both the EU and Canada are looking for a positive outcome to these talks which could open up the market for both sides. For example, both sides could open up their markets with the removal of quotas or non tariff barriers on agricultural, including dairy, products. Both sides have said that they are in 90% agreement, but the final 10% of both sides concerns will be where most of the work will be in the talks during 2010 and 2011. From the EU side, the main priorities remain Intellectual Property protection in Canada and access to Canadian Government Procurement at a Federal and Provincial level. In October 2009 Canada's population was estimated at 33 million. Victoria (British Columbia) - 348,000 Source: Statistics Canada, 2008. Canada was established in 1867 as a self-governing Dominion within the British Empire and attained full sovereignty in 1931 (Newfoundland joined later in 1949). With it's large size, thinly-spread population and the existence of a large French-speaking minority (historically about 25% of the population this century), Canada developed a federal system of government which made allowance for different regional and linguistic interests. These carry inherent tensions which have in recent years mostly concerned the political status of Quebec, the second largest and predominantly French-speaking province which witnessed a rise in nationalism in the 1960s. The failure from the 1970s to early 1990s of attempted constitutional reforms aimed at helping Quebec protect its language and culture gave rise to two "sovereignty" referendums which both however failed, the second in 1995 very narrowly. The 1990s has witnessed the birth of several regionally based parties replacing the traditional nation-wide parties. The Conservative government of the 1980s was left with only two seats in Parliament after the 1993 election. They were replaced by the liberals (a Canada-wide party) led by Quebec politician Jean Chretien, whose government was re-elected for a third term of office following the Federal elections held in November 2000. Paul Martin's Liberal Party won a minority victory in the June 2004 general elections, but twelve years of Liberal government ended when he was defeated by Stephen Harper's opposition Conservatives in January 2006. In 2008 Stephen Harper again went to the country and currently leads a minority government. Michael Ignatieff (liberal party) is the present leader of the opposition. The Head of State in Canada is Queen Elizabeth II, with Michaelle Jean as Governor General. The vast majority of British business visitors to Canada will arrive by air. There are direct flights from British airports to the Canadian gateways of Calgary, Edmonton, Halifax, Montreal, Ottawa, St Johns, Toronto and Vancouver. Alternatively, a good proportion of flights come via US hubs such as New York, Chicago or San Francisco, to the same airports for roughly the same fare. Pearson International Airport (YYZ), is situated 24km north-west of downtown Toronto. There are bus services to the Yorkdale, York Mills and Islington subway stops which runs every 20 minutes. There are also shuttle buses from the airport to the major hotels taking around 60 minutes. 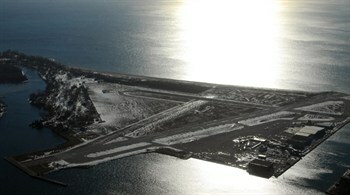 The airport (YHZ) is situated 33 km from the city. There are no public buses to or from the airport. However, there are shuttle buses that run between the airport and downtown, which also stop at the major hotels. The journey takes around 45 minutes. Montreal is served by Dorval International Airport (YUL), 25 km from the city centre. The best way into town from Dorval is by bus or by one of the hotel courtesy buses. The trip takes around 30 minutes. Calgary is served by Calgary International Airport which is approximately 30 minutes from downtown. Calgary Transit provides public bus transportation to and from the airport via Route #57 with service to and from the Whitehorn LRT Station. Ottawa is served by Macdonald-Cartier International Airport which is approximately 30 minutes from downtown. There are shuttle buses available and public transport. Vancouver is served by Vancouver International Airport which is approximately 20 minutes from downtown. The Canada Line is a new rapid transit rail link connecting to downtown Vancouver in 26 minutes and to downtown Richmond in 18 minutes. You can conveniently gain access to trains from both the international and domestic terminals. There are also courtesy shuttles to many of the local hotels. 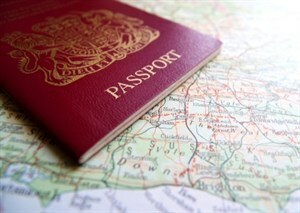 British Citizens and British Overseas Citizens who are entitled to re-admission to the UK do not require a visa to enter Canada; neither do citizens of British dependent territories who derive their citizenship through birth, descent, registration or naturalisation in one of the British dependent territories of Anguilla, Bermuda, British Virgin Islands, Cayman Islands, Falkland Islands, Gibraltar, Montserrat, Pitcairn, St Helena, Turks & Caicos Islands. For information on visas, see the Canada International Gateway website. Please be sure to check with the Canadian High Commission if you expect to remain for a lengthy period of time in Canada. There are no specific vaccinations recommended or required for a trip to Canada. It is advisable to be in date for tetanus, polio and diptheria. Rabies is present in more remote areas but is unlikely to pose a risk to business travellers. Information on health hazards, and precautions to take when travelling abroad can be found in the leaflet 'Health advice for travellers' available from main Post offices. It is essential to take out full medical insurance when visiting Canada as there are no reciprocal healthcare agreements between Canada and the UK. Tap water in Canada is universally safe to drink. 120-240V (mostly 120V) 60 cycles AC with two pin flat prong plug fittings (or three pin with one round and two flat prongs) and screw type lamp sockets. Adapters and transformers are available for appliances using other voltages. The Canada Official Tourist website can assist you with planning your trip.